Welcome to the Village of Summit! The Village of Summit is located along Interstate 94 in western Waukesha County, Wisconsin. The Village offers the benefits of a quiet, rural and lake country setting near urban amenities. The Village's location provides for outdoor recreational activities and state parks at the doorstep of its residents. With this setting, city offerings like professional sporting events and cultural performances are also easily accessible in the nearby Madison or Milwaukee areas. The Village includes a variety of quality housing developments and excellent school districts, with many shopping and dining opportunities within a short drive. Through well-planned and controlled development, Summit is a growing, thriving community where residents find opportunities to live, work and play. 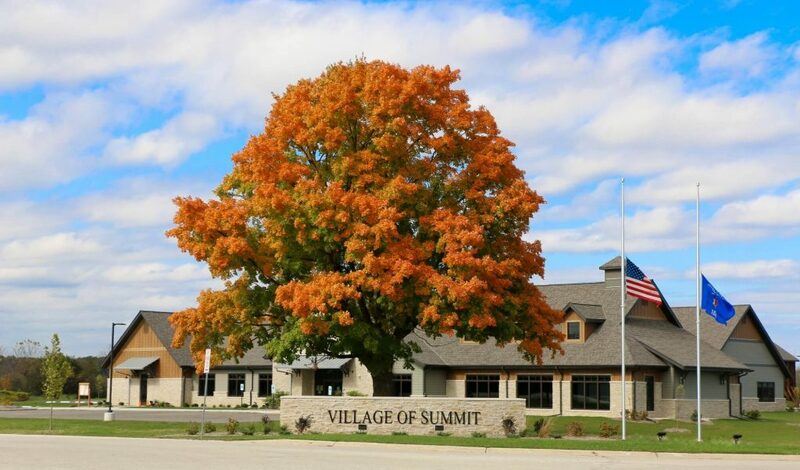 Summit, with a population as of January 1, 2018 of 4,754 residents, truly is a special community in the heart of Waukesha County's lake country. The Village Board meets the second Thursday of each month at 6:30 PM. This website was authorized by the Village Board in order to keep our residents informed and provide access to Village officials and information. Please take note that all official Village records are on file in the Clerk/Treasurer's office and the official posting boards are located at: VILLAGE HALL FRONT ENTRANCE (37100 N Dousman Rd), PETER PRIME PARK (Off Parkway Dr), GENESEE LAKE ROAD PARK (37505 Genesee Lake Rd). Regular Agendas are posted at the VILLAGE HALL FRONT ENTRANCE AND ON THE WEBSITE ONLY. WHO ARE MY VILLAGE ELECTED OFFICIALS? The Summit Village Board consists of the Village President and four Trustees, all of whom are elected from the Village to serve at large. All offices serve a two (2) year term, with the election of the Village President in odd-numbered years. Full contact Information is found on the Village Board page under Village Contacts.